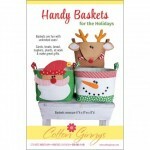 Festive Baskets to brighten your Holidays! These fun baskets can hold so many different things and they make unique gifts. At home - cards, treats, bread, napkins, sewing supplies. At Work - treats, plants, kays, tape, stapler, pens, notepads, etc. 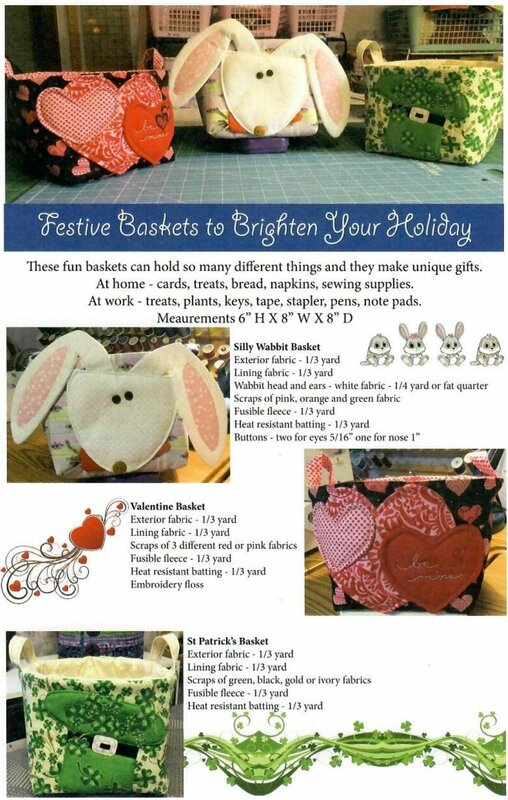 Includes decorations for the Easter, Valentines, and St. Patricks Day.